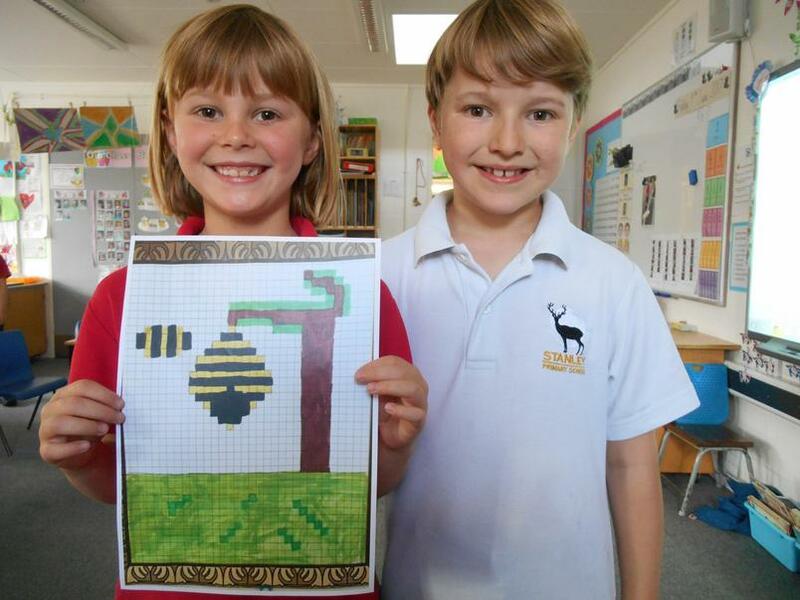 A number of Stanley pupils recently entered the Orleans House Gallery Picture Play- Pixel Art competition and we were delighted to hear that Eve from Maple Class in Year 2 won the completion with her entry of a Bee Hive. The prize for winning the competition is a free creative workshop for Eve and her school class to turn the final design into a stop frame animation. Maple Class are looking forward to creating this animation which will be on display at the Picture Play exhibition opening in July. Not only did we get the overall winner but also had another pupil, Woody also from Maple Class, who has been selected as highly commended and his work will also be on display in the exhibition. Well done to both Eve and Woody and we hope Maple Class enjoy their workshop.